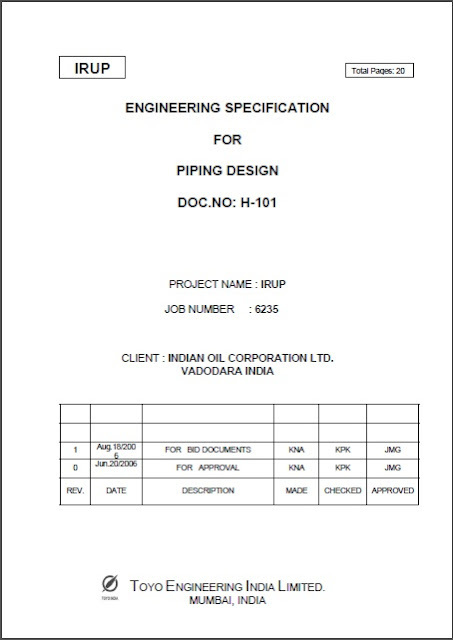 The extent of piping systems to which this specification is to be applied, shall be as indicated on the applicable piping and instrument flow diagrams (hereinafter referred to as P&I), and utility flow diagrams (hereinafter referred to as UFD). However, piping systems which are furnished as a regular part of proprietary or standardized equipment (or package unit) may be in accordance with the equipment manufacturer's standards. Instrument piping/tubing systems from the first fitting or block valve on the piping systems shall not be covered by this specification. 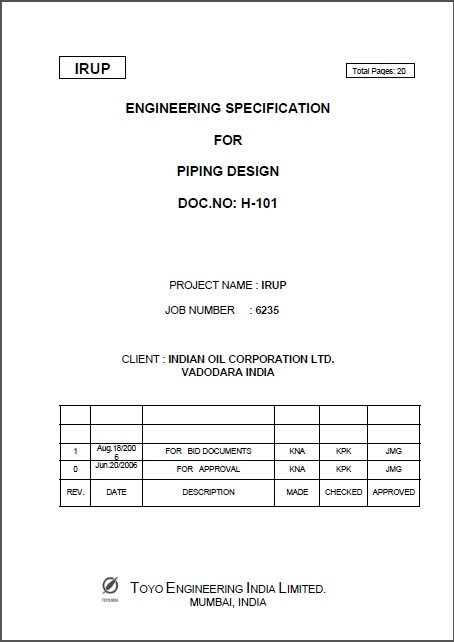 The requirements for inspections and tests of piping materials, and other requirements for piping construction are not specified in this specification.